Along with Rachel Brosnahan, Laura Dern attended the 34th Annual Artios Awards at The Beverly Hilton Hotel last night(January 31st) in Beverly Hills, CA. Laura hasn't had any wow moments on the carpet but she did sell me on the DRIES VAN NOTEN piece. 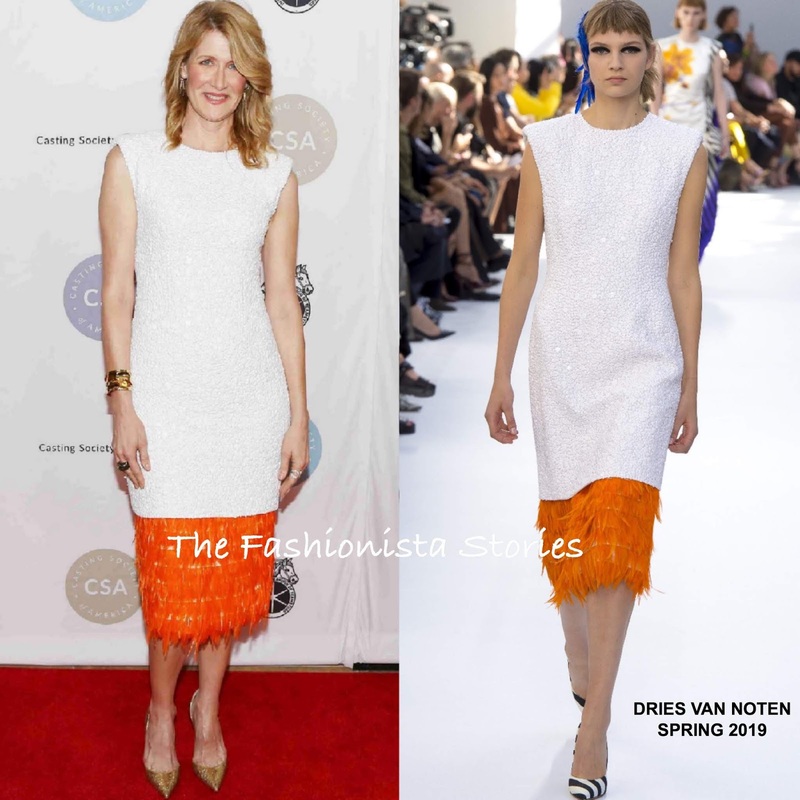 Her SPRING 2019 white sleeveless sequin dress featured padded shoulders, and a contrasting orange feather hem, which provided some movement to her look. However I wish she kept the white & black stripe pumps from the runway. While the CHRISTIAN LOUBOUTIN gold pumps works, the runway pumps, makes the dress chicer. ANA KHOURI jewelry and her signature layered tresses rounded out her look.